A short getaway with “cool” written all over it! 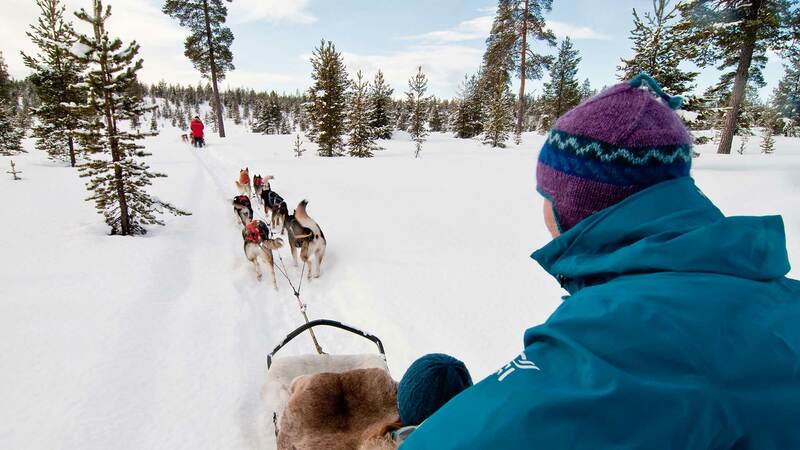 Enjoy winter fun in northern Norway with a snowmobile adventure, king crab safari and northern lights tour by dog sled. 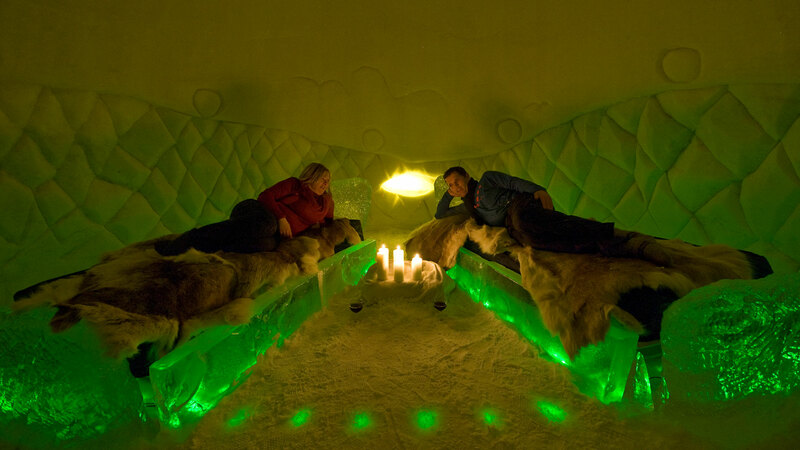 For the ultimate Arctic experience, spend a magical night in a suite made of snow and ice at the famous Snow Hotel in Kirkenes. Arrive to Kirkenes Airport and transfer by shuttle to your hotel in Kirkenes, located 400 km (240 miles) above the Arctic Circle. 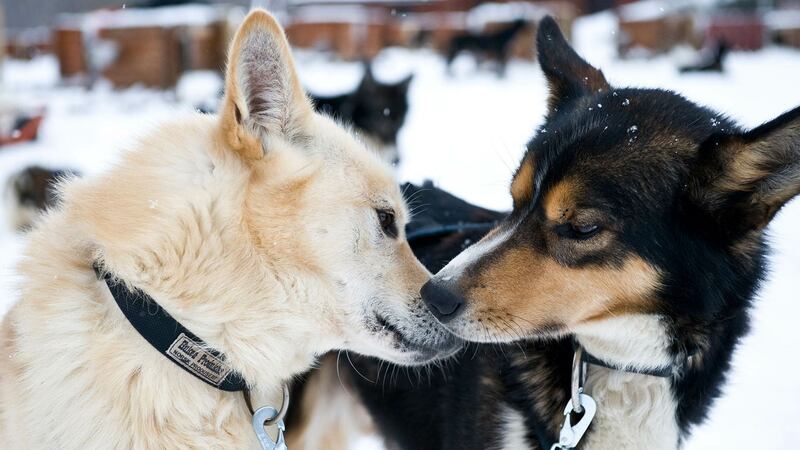 In the late afternoon, get ready for your first real Arctic adventure—a thrilling dog-sledding tour through the Pasvik Valley along Norway’s north-eastern border. If conditions are right, you may even see the northern lights dancing across the night sky! * This activity includes dinner in a traditional Sami tent, or lavvu. *The northern lights are a natural phenomenon and sightings cannot be guaranteed. Your morning is free to relax or explore your surroundings at your leisure. After lunch, your next adventure is a guided snowmobile safari over the mountains and surrounding area. Spend the morning warming up in the Snow Hotel’s sauna, enjoying a hearty breakfast and visiting the on-site reindeer park before returning to the hotel in Kirkenes. 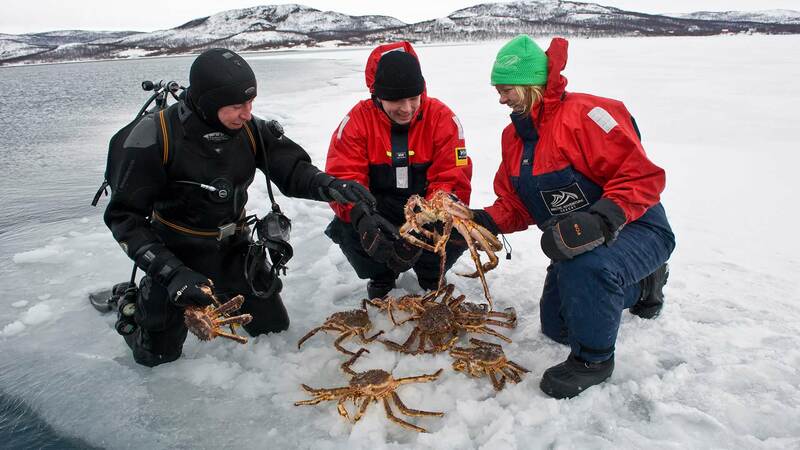 Shortly after lunchtime, it's time for your final Arctic activity—a King Crab Safari! Your guides will take you by snowmobile-sleigh over the frozen sea to the spot where you will assist with pulling up today’s catch. The reward for your efforts will be an enticing snack of freshly cooked crab in a rustic fishing hut. After returning to your hotel in Kirkenes, spend the rest of the evening at your leisure. Today it’s time to pack up your souvenirs and say goodbye to your unforgettable Arctic adventures here in Kirkenes. 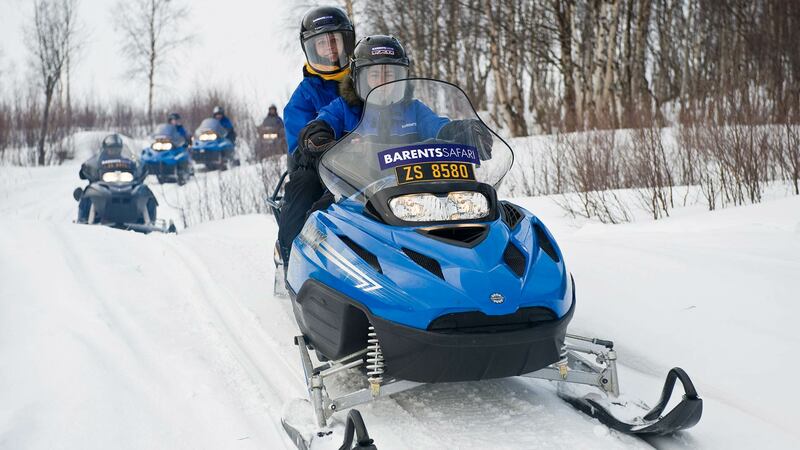 Transportation from the hotel is provided to the Kirkenes Airport in time for your departure flight. We had an amazing time in Kirkenes. Although we couldn't stay in the Snow Hotel due to dripping, we stayed in their lovely cabins. The staff made us feel like family and everything was great. The dogs + dog sledding was special, so too the crabbing (will not be able to eat another crab after eating the fresh king crab!) Unfortunately we missed out on the chasing the northern lights, on snowmobile, as the river was too slushy. All in all, it was a very special thing to do, and will stay in our memory forever. We really didn't know what to expect on this tour and were pleasantly surprised by the quality accommodations, service, and events! The staff was great - everyone! This is an independent, self-guided tour. All accommodations, rental car and train or cruise travel (as specified in the itinerary) will be pre-booked by Nordic Visitor, but travellers are ultimately responsible for getting to hotels and to any train or cruise departure points by the specified times. A valid driver’s license is required for the snowmobile tour. Participants under 18 years old are not allowed to drive the snowmobiles. Northern Norway has an Arctic winter climate so warm clothing is a must for this tour. However, additional outwear and safety gear is provided for the planned outdoor activities. 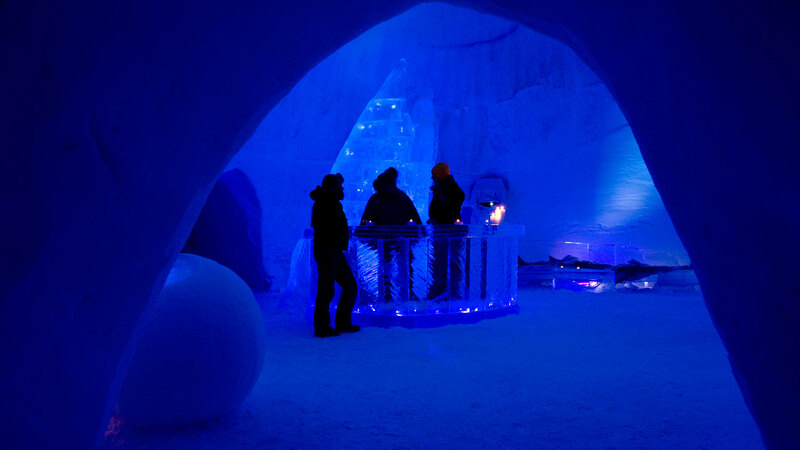 Long underwear and warm layers are needed for the overnight stay at the Snow Hotel. The Snow Hotel provides additional thermal overalls, hat, mittens, winter boots and wool socks included in the price of your stay. In northern Norway, the northern lights activity is strongest between mid October to mid April. Displays can only be seen at night if skies are clear. Please note that sightings cannot be guaranteed. Some of the activities are dependent on weather conditions. In the unlikely event that an activity is cancelled due to weather, an alternative will be offered.